The trees (Japanese black pine etc.) of a kind unsuitable on the seashore in Japan until now have been planted. It became clear at the Great East Japan Earthquake. From now on, it is necessary to build the suitable forest for protecting people's lives from tsunami in Japan. It is the forest which suited the climate. It is the forest which low trees and high trees mixed. And it is a forest like a primeval forest. About how to build the forest, at first, the hill is built along the coastline using the rubble and scrap woods which were left behind by the earthquake disaster. The full length of the hill is about 400 km. Next, the trees of various kinds which suit the climate are planted on the hill. You could see the beautiful sea and "Great Wall of a wonderful forest", when you visit the Tohoku district after 20 years. We would like to make such the future. 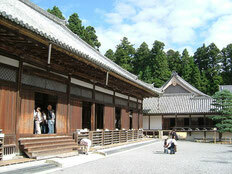 "Shiji-kairou" is "the trip which makes a pilgrimage to four great temples in the Tohoku district." A traveler with Goshuin-cho (notebook for proving a pilgrimage in a temple) makes a pilgrimage to temples, and prays. 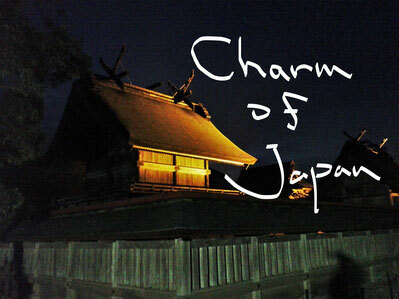 When you complete a pilgrimage of four temples, it is said that your wishes come true. 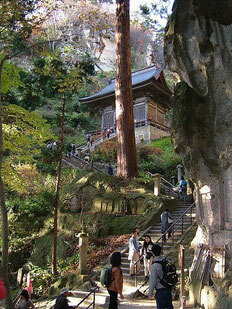 A long time ago, Basho Matsuo, the famous haiku poet, also made a pilgrimage to these four temples. He composed the haiku poems famous there. If you take this pilgrimage trip, you will be a very peaceful and fresh feeling. And your Goshuin-cho will become a wonderful treasure.